Brian Williams is a Le Cordon Bleu professional with a variety of leadership experiences. Brian holds an Associate of Culinary Arts from Le Cordon Bleu and a Masters of Business Administration from American Intercontinental University. Amongst other experiences, Brian has many years of culinary expertise as a Le Cordon Bleu campus President, as the current chef and co-owner of an Oregon restaurant and in his current role as Le Cordon Bleu External Relations Director.Brian will be hosting cooking and oenology classes at various locations throughout the year. Please check back for upcoming locations,dates and times. 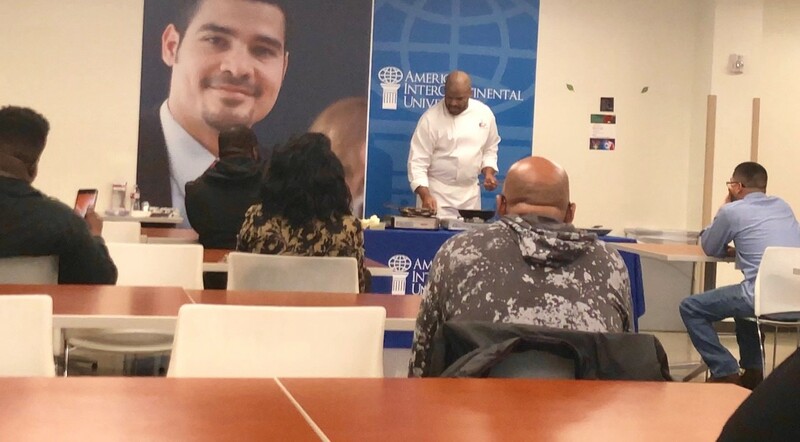 Master Chef Daryl Shular, formerly of Le Cordon Bleu, held an instructional sessions at AIU Houston on March 7, 2019. Chef Shular presented his expert techniques as he prepared a delicious Shellfish Stew. He prepared this dish that displayed a variety of cooking techniques, plate presentation and he discussed the proper wine pairing with the attendees. Chef Daryl Shular, formerly of Le Cordon Bleu in Atlanta, held a Le Cordon Bleu North America instructional sessions at AIU Atlanta on June 23, 2018 and August 20, 2018 for LCB Alumni and other campus guests. Chef Shular presented his journey to becoming a master chef and discussed the technical proficiency all culinarians must possess. He prepared a dish that displayed a variety of cooking techniques, plate presentation and he discussed food trends in America with the attendees. 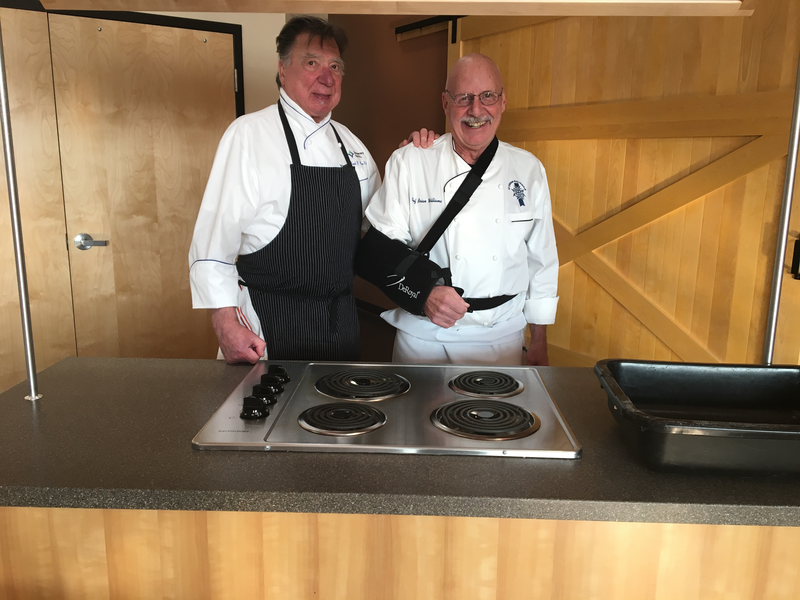 Le Cordon Bleu North America presented Master Chef Roland Henin along with Le Cordon Bleu’s Chef Brian Williams in Tillamook, Oregon. The event included cooking demonstrations and instruction by Master Chef Henin and Chef Williams, a book-signing and food sampling. Click on the images below to see Le Cordon Bleu chef demonstrations. Le Cordon Bleu Paris 1895 logo and Cordon Vert® are registered trademarks of Career Education Corporation in the United States and Canada for education services. Le Cordon Bleu® and Le Cordon Bleu logo, Le Cordon Bleu Paris CB 1895® and the Le Cordon Bleu Paris CB 1895 logo, Cordon Bleu®, Le Cordon Bleu de Paris® and Cordontec® are registered trademarks of Career Education Corporation in the United States for education services. Copyright © 2015, Le Cordon Bleu in North America. All rights reserved. No information may be duplicated without the permission of Le Cordon Bleu in North America.